So hackers are computer nerds? Think again. We like to socialize, do creative things and build stuff. So what about games? 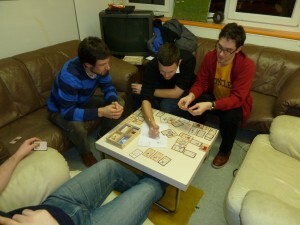 Computer games do not always give that social aspect as with the classic board and card games. 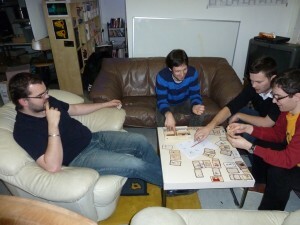 So some fellow syn2catters met last Thursday for a game night. The chosen game was Munchkin. An monster role playing game pressed into a card deck. After explaining some rules we got into play and learned the rest on the way. Interestingly, the newcomers to this game all became elves, and one won the game even though some more experienced players were there. This experience need a repetition so who’s in next time? I like Magic The Gathering but it is monetary black hole.